This is Part II of the essay "From Proto-materialism to Materialism: The Indian Scenario". Proto-materialism in the Upaniṣads – Uddālaka Āruṇi in the Chāndogya Upaniṣad (c. sixth century BCE). Proto-materialism in The Three Baskets (Tipiṭaka) and other Buddhist semi-canonical works, generally called ‘the doctrine of annihilation’ (ucchedavāda), documented in the ‘Pāyāsi Sutta’ and the ‘Sāmaññya-phala Sutta’, both in the Dīgha Nikāya (fifth century BCE). Proto-materialism in the Jain canonical works such as The Sūtra-krtānga Sūtra (fifth century BCE) and paracanonical texts (such as the Nandī Sūtra), variously called bhūtavāda, tajjīva-taccharīravāda, etc. Proto-materialism in the two epics, the Rāmāyaṇa (Book 2) and the Mahābhārata (Book 12 in particular), redacted between the fourth century BCE and the fourth century CE. Materialisms in the Maṇimēkalai (between the fourth century and the seventh century CE) and the Vasudevahiṃḍī (sixth/seventh century). Materialisms in the non-philosophical texts: Vātsyāyana’s work on erotics, the Kāmasūtra (sixth century CE), Bāṇabhaṭṭa’s romance, the Kādaṃbarī (sixth century CE), Śrīharṣa’s secondary epic, The Life of Naiṣadha (thirteenth century CE), etc. The base text of the Cārvākas, the Paurandara-sūtra and (most probably) its auto-commentary, the Paurandara-vṛtti (in or around eighth century CE). Both survive only in fragments (for details see Bhattacharya 2009/2011:83,90). Commentary on some earlier base text by Kambalāśvatara, and other commentaries, besides Puranadara’s own, on the Paurandara-sūtra by Bhāvivikta (known by name only), Aviddhakarṇa, and Udbhaṭabhaṭṭa (from seventh to tenth century CE), available only in fragments. The basic doctrines of materialism, particularly its epistemology, took time to develop. The first point we come across is, as stated above, its ontology, namely, its opposition to the concept of life after this life. It also implies the denial of rebirth, and of the doctrine of karma (karman). Thus the idea of reward and retribution in the form of attaining heaven or being consigned to hell, in accordance with one’s deeds in this world (that is, during one’s earthly existence), is also rejected. This is indeed something unique in the history of world philosophy. Philosophers, whether in Greece or in other lands, had always mulled over the origin of all phenomena as did some Indian philosophers. There was no unanimity of opinion among them. Several such contending views are recorded in Śvetāśvatara Upaniṣad 1.2. But what happens after death, is a question that concerns belief in (a) the existence of an extracorporeal soul, (b) heaven and hell as actual places, and (c) adṛṣṭa as also karmaphala (the results of one’s deeds). These three are closely associated with religious beliefs, not necessarily theistic. Both Mīmāṃsā and Buddhism are atheistic, nevertheless their belief systems encompass the third item. Materialism, by denying all three, strips off the mystique of death, thereby making all these redundant. The materialist ontology hits at the root of all religious beliefs. Post-mortem rites are considered to be a mere waste of energy and resources, and branded as utterly irrational (cf. Jābāli’s speech in the Rāmāyaṇa 2.100), which corresponds to the views of both Pāyāsi and Ajita Kesakambala in the Dīgha Nikāya). The story of king Veṇa in the Viṣṇu-Dharmottara-Mahāpurāṇa (1.108) highlights the materialists’ denial of the post-mortem existence of any extra-corporal soul or spirit. Medhātithi glosses on the word nāstika in the book of religious law, Manusmṛti 4.30 and 11.65 as one who denies the other-world (nāsti paralokaḥ) by referring to a line: ‘There are no such things as given (in sacrifices), oblations, rites. . .’ , which is taken from the Viṣṇu-Dharmmotara Mahāpurāṇa (1.108.19). However, in some other cases (as in his glosses on Manu 2.11 and 4.163), Medhātithi and other commentators explain the word nāstikya, nāstikahood, as disbelief in (the infallibility, hence the authority of) the Veda, or refusal to admit the status of the Veda as the ultimate verbal testimony, the word of words. Thus it is found that the old pair, āstika and nāstika, acquires in the course of time a new set of meanings, viz., the adherer to the Veda and the non-adherer. This turned out to be the widely accepted meanings of the pair in Brahmanical philosophical literature. In common parlance, however, the words later came to suggest the theist and the atheist. However, God, in the philosophies in India in general, never occupied an important place, at least not so important as the Veda. Even though in earlier literature (for example, in the Maitrī Upaniṣad ) avaidika (7.10) and nāstikya (3.5) suggest the non-Vedic and the denier of the other-world and/or of the Veda respectively, it is only in the Brahmanical philosophical literature of the Common Era that āstika and nāstika came to signify respectively the believer in and the defiler of the Veda, and nothing else (Cf. Manu 2.11: nāstiko veda-nindakaḥ). [iv] In the writings of the Buddhists and the Jains, however, the earlier meaning of nāstika (that is, the denier of the other-world) persisted, for denial of the authority of the Veda meant nothing to them, they themselves being opposed to the doctrine of the inerrancy of the Veda. The new meaning affected them in no way whatsoever. This new sense of nāstika in later times thus came to signify the materialists (more particularly the Cārvāka/Lokāyata) as well as the Buddhists and the Jains, for both of them were considered to be heretical and heterodox by the Brahmanical authorities. The label was employed to mean all heterodox popular cults, the so-called pāṣaṇḍins, some of whom are mentioned in the Maitrī Upaniṣad, 7.8. This devotion to the Veda (vedabhakti) is indeed something unique in the world. The Christian’s reverence for the Bible, ‘the Book of Books,’ or the Muslim’s deference to the Qu’rān is hardly comparable to this fidelity. Bankim Chandra Chattopadhyaya (Chatterjee), the well-known litterateur of nineteenth-century Bengal, was a devout Hindu in his own way. After a phase of atheism in his early years (roughly speaking, till the mid-1870s) he took a turn to become a devotee of Kṛṣṇa (however, he never joined any of the numerous sects and sub-sects of the Bengal Vaiṣṇava-s). Nevertheless, as in his irreverent youth so in his devout old age, he refused to accept the exalted position of the Veda (see B. Chattopadhyaya 1973:278, 1060 et seq). The status of this Holy Writ was above every other text or object, including God himself. In fact, one could deny the existence of God in India and go scot free, without suffering any punishment or social ostracism, but the denial of the infallibility of the Veda was viewed as a cardinal sin (for the view of the canonical law books concerning the nāstika-s, see Kane vol.4, 1973:15-16, 33-34). Thus two philosophical schools, Mīmāṃsā and Sāṃkhya, that denied the existence of God/gods, were admitted as assenters or affirmativists (āstikas), for they accepted the supreme authority of the Veda as much as such systems as Nyāya-Vaiśeṣika and Yoga. On the other hand, the Cārvākas, along with the Buddhists and the Jains and other popular religious cults (the so-called Little Tradition), stood condemned because of their refusal to fall in the line relating the Veda. This esteem for the Veda is another aspect of the Indian scenario that distinguishes it from all other philosophical systems and schools of the rest of the world.. The Tamil epic, Maṇimēkalai composed by Sīthalai Sāttanār, has already been mentioned (see above). It is a highly valuable document for the study of philosophical systems of India in general and of materialism in particular, although it has rarely been utilized either at home or abroad. It may be due to the fact that it is written in old Tamil, not in Sanskrit. There are, however, several English translations (at least three are known to me. See References below) that provide a fascinating account of the philosophical systems current in South India during the early centuries of the Common Era. Exact dating of the epic as yet is not possible. All that can be said is that it was composed sometime between the fourth century and the seventh century CE. During her wanderings Princess Maṇimēkalai, the heroine of the epic, comes to meet the teachers of several philosophical systems. They are: Lokāyata, Bauddha, Sāṃkhya, Nyāya, Vaiśeṣika, and Mīmāṃsā (27.78-80). All the names are evidently borrowed from Sanskrit with minor but easily recognizable phonetic variations. [v] Even without knowing Tamil one can read the passage transliterated in roman script and identify the systems with ease. The names of the masters (aciriyar in Tamil, ācārya in Sanskrit) are also mentioned: Bṛhaspati, Jina (Buddha), Kapila, Akṣapāda, Kaṇāda, and Jaimini respectively (27.81-82). Here too all the names can be understood from the Tamil text, except perhaps Bṛhaspati, who is called Pirekarpati (See Appendix). Here for the first time we also read of the instruments of cognition (pramāṇas) admitted by these schools (27.83-85). Thus we are here given a glimpse of a particular juncture when the proto-materialist and proto-idealist ideas have been redacted into more or less organized systems after the second/third century CE, each having a name to distinguish it from others. The names mostly refer to the essence of the doctrines, not to the founders or the redactors, although their names are not forgotten altogether. The name of the second school, Lokāyata, is well-known as a namesake of Cārvāka, although in the Pali and Sanskrit Buddhist tradition, lokāyata invariably stands for disputatio, the science and art of disputation, not a philosophical system (see Bhattacharya 2009/11:189, 195-96; Franco 2011:632-33). Yet right from the sixth century CE, Lokāyata also means materialism in the Brahmanical tradition, as found in the Kāmasūtra, Kādambarī, etc. 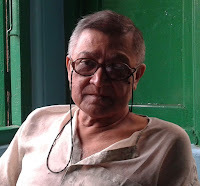 (see R. Bhattacharya 2015). “When fig leaves are macerated with sugar and other substances fermentation takes place. This phenomenon is similar to consciousness and sensation, which develop when certain elements are put together. Then, when these elements separate and return to their individual state, consciousness gradually vanishes, like the resonance of a drum that little by little fades, and dies away. “By combining together, the various categories of element in which consciousness is present give birth to living being, while inert elements, on combining together, produce the various forms of inanimate matter. These two categories work independently as regards their formation, duration, and disappearance. Each living being is animated by a consciousness to which its components give rise at the very moment of its coming into existence. Such is the natural course of things. The other aspects of our doctrine concerning the tattvas [principles], the world’s constituent parts, which I could expound, are identical to the concepts of the Lokayatas, the pure materialists. “Of the means of proof, only direct perception (prtyaksha) is acceptable. All other means of knowledge, including deduction (anumana), must be rejected. There exists no reality other than the one we perceive in the present and the enjoyments we derive from it. “It is absurd to believe in the existence of another life in which we would gather the fruits of our deeds in this one. Our existence as well as our joys and sorrows terminate with our life.” (Trans. A. Danielou and T. V. Gopala Iyer. 1993;140). Thus before the arrival of the new materialism of the Cārvākas (in or around the eighth century CE) we have at least two pre-Cārvāka materialist schools with their own ontology and epistemology. The Maṇimēkalai forms the link between proto-materialism and old materialism on the one hand, and also between old materialism and new materialism on the other. [vii] The significance of the Tamil epic in this respect cannot be overemphasized, although it is little known even in the Indological circles of North India, not to speak of the western students of non-western philosophy. It is from the eighth century CE that we first come to hear the name, Cārvāka, often used in the plural. Apparently, cārvākāḥ, “the Cārvākas,” refer collectively to a new group of materialists. They were also the last of the materialists to appear in India. After the twelfth century or thereabouts, all materialists, whether they were Cārvākas or pre-Cārvākas, appear to have disappeared from the face of the earth. Yet as long as they were there, they were considered to be the chief antagonists to be fought tooth and nail by all idealists and fideists. Not only did the adherents of Nyāya-Vaiśeṣika, Vedānta, and Mīmāṃsā but also the Buddhists and the Jains (branded by the Brahamanical philosophers as negativists as much as the materialists for their non-adherence to the Veda) took up their pens to combat the materialist view. In course of their polemics they did not care to distinguish between the Cārvākas and the non-Cārvāka or the Pre-Cārvāka materialists (see Bhattacharya 2013b:133-49). Right from the eighth century then the name Cārvāka became the generic name for all materialists, whether they were Cārvākas or not. While referring to the materialists who spoke of five elements instead of four (which the Cārvākas did and hence known as bhūta-catuṣṭaya-vādins), Guṇaratna (sixteenth century CE) calls them “some sections of the Cārvākas” (cārvākaikadeśīya, 1914:300). Most probably he drew all his views concerning the materialists, including the existence of five-elementalists (bhūta-pañcaka-vādins), side by side with the four-elementalists, from Śīlāṅka (see above). In the great philosophical debates that raged in India from the eighth century to the twelfth century, the common enemy of all philosophical systems, whether orthodox (Vedist) or heterodox (anti-/non-Vedist) was the Cārvāka/Lokāyata. The seminal contribution made by the Cārvākas was the partial recognition of inference as an instrument of cognition. The Pre-Cārvākas were staunch upholders of perception as the one and only instrument; all other instruments were denied. The Cārvākas, however, declared that inferences based on perception and verifiable by perception was acceptable to them as well. However, all inferential conclusions based on verbal testimony, such as the Vedas, and concerning preternatural objects such as God, heaven and hell, the omniscient person, etc., were denied by them since they follow from non-perceptible sources. Purandara made this clear in so many words (qtd. Kamalasila, 1981: 528) and Udbhaṭabhaṭṭa, another commentator on the base work, made a sharp distinction between the “probanses well-established in the world” and those “established in the scriptures” (qtd. Vadideva Suri, 1988: 265). In some other aspects too, there were points of difference between the Cārvākas and the Pre-Cārvākas (for a detailed study see Bhattacharya 2013a:8). Otherwise all the schools were by and large unanimous. To sum up: materialism in India developed in a way quite different from that of its western counterpart. The basic difference lies in the general background: rebirth was never a part of the “world picture” (I borrow this term from E.M.W. Tilliyard’s The Elizabethan World Picture) of the ancient Greeks, whereas it was the very plank of all idealist systems and religious bodies in India, not only of the Brahmanical religious sects but also of the heretical and heterodox Buddhist and Jain systems. Coupled with the doctrine of karma, it formed an essential part of the world picture inherited from the religious texts of these three communities, right from the sixth century BCE and continues to be held by the largest part of the Indian population even today. This is why in India both proto-materialism and its modified and fuller form, the Cārvāka/Lokāyata, took a shape quite distinct from its Greek counterpart. In a different context P.V. Kane observed: “The theory of karma and the theory of transmigration of souls (of pre-existence and post-existence) are inextricably mixed up in Indian thought from at least the ancient times of the Upaniṣads” (1973. vol.4:39). This also reveals how the world of notions and beliefs held by a community continues to affect the human mind even after the world of myths is no longer in operation. [i] I have consciously omitted several Buddhist, Jain and Brahmanical philosophical texts or commentaries thereon. They are mostly designed to refute, or rather denigrate, materialism. The authors are not averse to misrepresent, and even distort the materialist doctrine in course of their exposition of the opponent’s view (technically known as pūrva-pakṣa). For instances, see R. Bhattacharya 2013b:133-49). The same caution is to be taken in relation to the poems and plays that either fully or partly are ‘philosophical’ in orientation, such as, Kṛṣṇamiśra’s allegorical play, Rise of Moon-like Intellect (Prabodha-candrodaya), Haribhadra’s Prakrit narrative, The Tale of Samarāditya (Samaāricca kahā), Jayantabhaṭṭa’s closet play, The Tocsin of the Sacred Text (Ᾱgama-ḑambara) and Siddharṣi’s An Allegorical Tale of the World (Upamiti-bhava-prapañca-kathā), etc. Their accounts can be accepted only to a certain extent, but not in toto. With more than a pinch of salt, so to say. [ii] To the Buddhist philosophers of the Common Era, materialism meant the doctrine of annihilation (ucchedavāda) as enunciated by Ajita (and Pāyāsi), which denies the other-world and rebirth. See the commentariesof Bhāvaviveka, Nāgārjuna (auto-commentary), Buddhapālita and Candrakīrti on Nāgārjuna’s Madhyamakaśāstra 18.6-7, vol. 2, 1989:63-64, 67. Lokāyata is mentioned separately in a different context (ibid. on 16.1, vol.2, 1989: 3,153), most probably in the sense of disputatio. [iii] See Max Müller 1884:xxiii; Whitney 1890:104. Mülller however, observed: “I have little doubt, for instance, that the three verses 16-18, in the first Vallî of the Kaṭha-Upanishad are latter additions, but I should not therefore venture to remove them” (1884:xxv). Whitney endorses this observation as a “very plausible suggestion,” adducing further evidence: “The last pāda [quarter verse] of 18 is the same with 12d, above . . . ” (note on 1.1.18, 1890:96). [iv] I am indebted to Professor Mrinal Kanti Gangopadhyaya for drawing my attention to this matter. It should be noted in this connection that the Smṛtis and Purāṇas mostly use the word nāstika, rarely Cārvāka or Lokāyata; only their commentators employ the latter names. [v] Some technical terms however are in Tamil while others retain their original Sanskrit forms. See Appendix. The Tamil text (available on the net) and the English translations by Krishnaswamy Aiyangar, Alain Danielou (with the collaboration of T.V. Gopala Iyer), and Prema Nandakumar are worth consulting. [vi] Rahula Sankrityayana, it may be recalled, translated the term ‘‘scientific materialism’’ as vaijñānika bhautikavāda. It is the title of one of his Hindi works written during his incarceration at Hazaribag Jail for taking part in the anti-imperialist movement. See Sankrityayana 1974. [vii] The points of difference between the two have been discussed in R. Bhattacharya 2013a: 8. K. Aiyangar, Manimekalai in Its Historical Settings, London: Luzac & Co., 1928. V. M. Bedekar, ›The doctrines of Svabhāva and Kāla in the Mahābhārata and other old Sanskrit works,‹ Journal of the University of Poona (Humanities Section), No. 13, 1961. R. Bhattacharya, ›The Base Text and its Commentaries: Problems of Representing and Understanding,‹ Argument (Cracow), Vol.3 No.1, 2013, pp.133-49 (2013b). R. Bhattacharya, ›Development of Materialism in India: the Pre-Cārvākas and the Cārvākas,‹ Esercizi Filosofici, Vol.8, 2013, pp. 1-12 (2013a). R. Bhattacharya, ›The First Cause: Rivals of God in Ancient Indian Thought‹, Indian Skeptic, Vol. 14 No. 8, December 2001, pp. 19-23 (2001). R. Bhattacharya, ›Reflections on the Jābāli Episode in the Vālmīki 4 Rāmāyaṇa Ayodhyākāṇḍa,‹ (forthcoming in Journal of Indian Philosophy. Available online), (2015a). R. Bhattacharya, Studies on the Cārvāka/Lokāyata, Firenze: Società Editrice Fiorentina, 2009; London: Anthem Press, 2011 (2009/2011). Chāndogya Upaniṣad. See Eighteen Principal Upaniṣads. B. Chattopadhyaya, Baṅkim Racanāsaṃgraha, Pravandha Khaṇḍa prathama o śeṣa aṃśa (in Bangla), Kalikata: Saksharata Prakashan, 1973. D. Chattopadhyaya in collaboration with M. K. Gangopadhyaya (ed. ), Cārvāka/Lokāyata, New Delhi: Indian Council of Philosophical Research, 1990. D. Chattopadhyaya, History of Science and Technology in Ancient India, vol.2, Calcutta: Firma KLM,1991. Dīghanikāya, Parts 1-3, Ed. Jagadish Kashyap, Patna: Pali Publication Board (Bihar Government), 1958. Eighteen Principal Upaniṣads, Eds. V. P. Limaye and R. D. Vadekar, Poona: Vaidika Samsodhana Mandala, 1958. M. Eliade, From Primitive to Zen, London: Collins, 1979. E. Franco, ››Lokāyata,‹‹ in Brill Encyclopedia of Hinduism, Vol.17, Leiden: E. J. Brill, 2011, pp. 629-642. E. Frauwallner, History of Indian Philosophy, Vol.2, Delhi: Motilal Banarsidass, 1973. (translation of Geschichte der indischen Philosophie, Band II, Salzburg: Otto Muller Verlag, 1956). K. Freeman, Ancilla to The Pre-Socratic Philosophers. A complete translation of the Fragment in Diels, Fragmente der Vorsokratiker. Oxford: Basil Blackwell, 1952. Guṇaratna, Tarkarahasyadīpikā, in Haribhadra, Ṣaḍdarśanasamuccaya, ed. Luigi Suali, Calcutta: The Asiatic Society, 1905-14. W. Halbfass, Tradition and Reflection: Explorations in Indian thought, Delhi: Sri Satguru Publications, 1992. Kamalaśīla, Tattvasaṅgrahapañjikā in Śāntarakṣita, Tattvasaṅgraha, ed. D. Shastri, Banaras: Bauddha Bharati Varanasi (reprint), 1981. P. V. Kane, History of Dharmaśāstra, vol. 4, Poona: Bhandarkar Oriental Research Institute, 1973. D. D. Kosambi, An Introduction to the Study of Indian History (1956), Mumbai: Popular Prakashan, 1975. D. D. Kosambi, Culture and Civilization of Ancient India in Historical Outline (1965), New Delhi: Vikas, 1972. V. I. Lenin, »Philosophical Notebooks,« in Collected Works, vol. 38, Moscow: Foreign Languages Publishing Huse, 1961. Mahābhārata, The. Critically edited by V. S. Sukthankar and others. Poona: Bhandarkar Oriental Research Institute, 1933-1966. Maitrāyaṇī Upaniṣad. See Eighteen Principal Upaniṣads. Majjhimanikāya,The, Parts 1-3, ed. Mahapandita Rahula Sankrityayana, Patna: Pali Publication Board (Bihar Government), 1958. Maṇimēkalai (The Dancer with the Magic Bowl), trans. Alain Danielou with the collaboration of T.V.Gopala Iyer, New Delhi: Penguin Books, 1993. Nāgārjuna, The Madhyamakaśāstra of Nāgārjuna with Akutobhaya, an auto-commentary by Nāgārjuna, Madhyamakavṛtti by Buddhapālita, Prajñāpradīpa by Bhāvaviveka, and Prasannapadāvṛtti by Candrakīrti, ed. and restored to Sanskrit by Raghunath Pandeya, Delhi: Motilal Banarsidass, vols. 1-2, 1988-89. Nandī Sūtra with the commentary of Srīmanmalayagiri, Mumbai: Srimati Agamodaya Samiti, 1924. »Pāyāsirājaññasuttanta« in Dῑgha Nikāya, The, Parts 1-3, ed. Jagadish Kashyap, Patna: Pali Publication Board (Bihar Government), 1958. Plato, Complete Works, Indianapolis/Cambridge: Hackett Publishing Company, 1997. S. Radhakrishnan, Indian Philosophy, vol. 1, Delhi: Oxford University Press, 1980 (reprint). Rāmāyaṇa. See Vālmīki Rāmāyaṇa, The. » Sāmañña-phala-sutta« in Dīgha Nikāya (see »Pāyāsirājaññasuttanta«). Saṅghadāsagaṇi Vācaka, Vasudevahiṃḍī, Prathama Khaṇḍa. Ed. Caturavijaya and Punyavijaya (1930-31), Gandhinagar: Gujarat Sahitya Akademi, 1989. R. Sankrityayana, Vaijñānika Bhautikavāda (1942? ), Lokabharati Prakashan (on behalf of Adhunik Pustak Bhavan), 1974. Śīlāṅka, Ācāraṅgasūtram and Sūtrakṛtāṅgasūtram with Niryukti of Ācārya Bhadravāhu Svāmī and the Commentary of Śīlāṅkācārya, ed. Ācārya Sarvanandājī Mahārāja. Re-ed. with Appendix by Muni Jambuvijayaji. Delhi: Motilal Banarsidass Indological Trust. 1978. Th. Stcherbatsky,The Conception of Buddhist Nirvāṇa (1927), Delhi: Motilal Banarsidass, 2003. Śvetāśvatara Upaniṣad. See Eighteen Principal Upaniṣads. Ten Suttas from Dīgha Nikāya, Varanasi: Central Institute of Higher Tibetan Studies, 1987 (reprint of Burama Pitaka Association Publication, ). E. M. W. Tillyard, The Elizabethan World Picture (1943), Harmondsworth: Penguin Books, 1963. G. Thomson, The First Philosophers. Studies in Ancient Greek Society, vol. 2, London: Lawrence and Wishart, 1955. Vādidevasūri, Syādvādaratnākara. Delhi: Bharatiya Book Corporation, 1988. Viṣṇudharmmotara Mahāpurāṇa, Mumbai: Kshemaraja Srikrishnadasa, 1834 Śaka (1912-13). W. D. Whitney, ›Translation of the Kaṭha-Upaniṣad,‹ Transactions of the American Philological Association, vol. 21, 1890, pp. 88-112. Acknowledgements: A. Mahalingam, Chennai, who kindly provided an interlinear translation of Maṇimēkalai 27.78–82, Thanks are due to Amar Acharya, Amitava Bhattacharyya and Sunish Kumar Deb, Kolkata, for assistance. The usual disclaimers apply.